Have you found an online vendor selling To Gents Redrum? To Gents Redrum rum is produced in Denmark and has been aged for 6 months in a redwine barrel that previously contained Danish wine. Only 660 bottles have been produced and each comes with a handwritten note. Rommen er rigtig god, anderledes samt blød. Nice rum that is a lot different from other wine barrel aged ones. A lot of scent and taste. 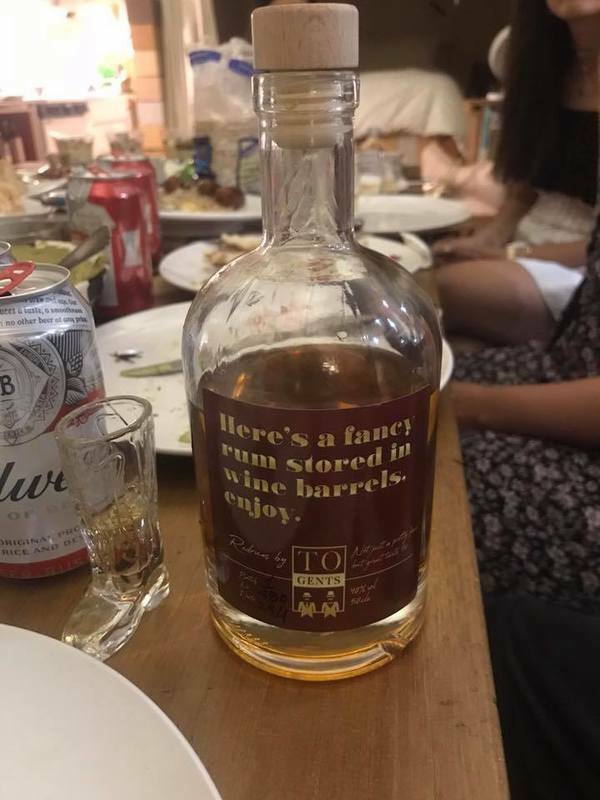 fine rum. Smagte denne rom hos min kammerat som havde købt en flaske. Fin flaske, god næse med duft af blomme, karamel og sødme. Første tør er meget overvældende med en bred palette af smagsnuancer. I anden tår fornemmer jeg blommer, karamel, røg og en tør eftersmag. Tried this one and have to say it's an intriguing rum that while test you're tastebuds! So flavourful and different from other rums out there. Tried this rum yesterday. Great nose with a sweet lingering scent. Really smooth with a rich palette of plume and a subtle hint of smokeyness.